I’ve been struggling to design a dome that’s easy to build, uses readily available materials and is practical. Lots of dome builders put together dome frames (I have done myself) they look pretty cool but you can’t really use them for anything, except maybe climbing on. Another problem is that 3v domes (which are the easiest to build) don’t have a flat base, so you have to pack them up or fiddle around with strut lengths and hub angles, which makes the whole thing much more complicated. Has no difficult angle cuts. Could be developed into a factory process to make cheap domes. Is flexible enough to make many different types of buildings. Will deform enough to allow a 3v dome to sit flat on the ground. without adjusting any panel sizes. Has only two basic components. Can be a permanent or temporary structure. Start with the dome calculator to work out the panel sizes you’ll need for the diameter of dome you want to build. Remember to work out what sizes work best within the confines of an 8X4 sheet of ply. When you’re done batten the edges with slate latte, this is pressure treated 25mm X 50mm timber. It doesn’t really matter which way you put the batten on but if your using 50mm polystyrene as insulation you’ll need to put the batten on it’d edge so it’s deep enough to fit the insulation inside. Join together six pentagons from the 30 Y panels and 5 full hexagon panels from the X panels, the remaining X panels are joined into half hexagon shapes. As you can see from the diagram, there is a thin gap when the panels are joined on a flat surface. Nip this together and the five panels will deform into the correct concave shape required. This is the reason for using hinges as they allow movement while still holding the panels together. This is where the sawdust comes in: Take the sawdust and mix it with the PVA glue until you get a very thick sticky paste, you want to get as much sawdust as possible mixed with the glue without making it dry. Pack the mixture into the gap as firmly as possible, then level off and leave to dry. When the filler has dried you can screw or bolt the panels permanently together. You can fill the gaps on all six pentagons panels and the five hexagon panels. Don’t do the half hex panels until you’ve finished assembling the whole dome structure because the panels need to be able to deform enough to allow the dome to sit flat. When you’ve fixed the dome down you can fill the remaining gaps. All that you need to do now is weatherproof the dome. Take the fibreglass fleece and lay it over a fresh coat of wood primer then cover the fleece with another coat of primer, this stops the primer from cracking over the joints and letting water in. I would recommend coating the whole surface with fibreglass and finishing with a gel coat, this will weatherproof the dome for at least 25 years. 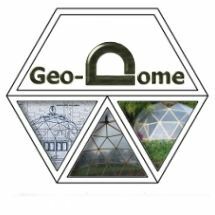 There you have it, a dome that can be built without any complicated angles or hubs, is weatherproof and incredibly cheap to build. I didn’t include any door openings or riser walls in this tutorial but I will be adding detailed plans to the site showing how to build various domes using this technique. Hi Paul Looks like it should be workable, the only way to be 100% sure is to build one i guess. It may be easier to use simple rigid triangular panels (12mm plywood for example)instead of the framed timber triangles for a small sized test dome. Hi Mike, They`re pretty much timber battons used on roofs. You would normally nail the tiles/slates to them. Would this be considered a stress skin dome? 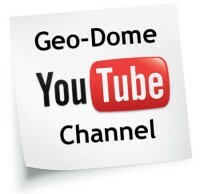 What about cutting doors or windows in the plywood, could this compromise the dome? Great idea! Has anyone built one of these? Hi Aaron, Yes in this case the skin is stressed because the timber frame around each triangle is thin wood. However if you increasd the size of timbers in the frame this would make it strong enough to be self supporting, you could then use glass instead of ply and make a green house for example. Cutting holes would make little difference to the structural integrity of the dome, if you were worried just increase the size of the timber battens around each triangle. I'm going to build a dome using this technique soon, I'll post a link here when I have something to show. 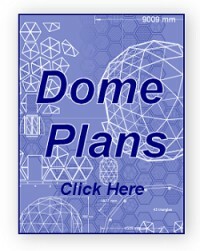 a group of us used these plans as a basic outline for a 30 foot wide dome that is 13 feet high. we used 2x4 ripped in half, end plates on each corner of the triangles ,and hinges. It worked out very well with some gaps here and there, but the structure is very solid. Thanks for the info! Love the design. Sounds like just what I'm after. If I was to insulate the panels and heat the dome wouldn't this cause moisture to build up on the inside of the plyboard? Could I put notches at the top and bottom of each triangle's batten to allow ventilation around the internal surface of the ply and then have ventilation holes at the top and bottom? do you have a design for a riser and a door opening? This framework might also be used for semi-portable structures by substituting bolts for some of hinges. Ingenious!!! This will probably be the basis for the dome I am wanting to build! Thank you soo much! Very smart idea about those hinges and gluing and bolting afterwards! 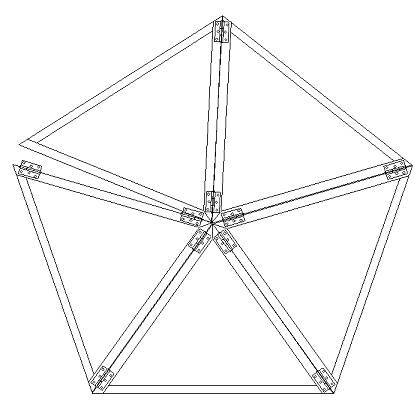 Am I getting it right that after having assembled the hexes and pents and those halves you suggest we use hinges again to join hexes, pents and halves to complete the dome and after the structure is joint and settled down we proceed to glue and bolts?